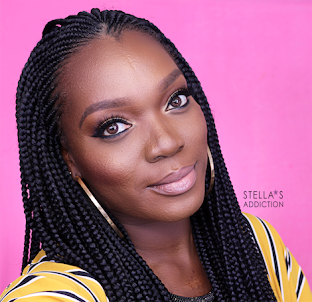 I have spent quite a bit of time in Nigeria over the past three months, so I decided to check out the Nigerian make up scene. 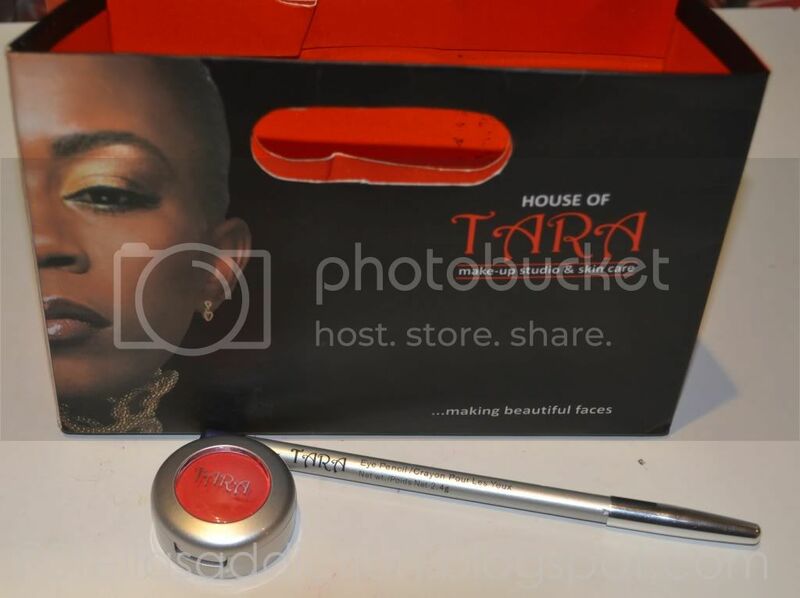 First up House of Tara and BM pro, make up lines founded by two of the most popular make up artists in Nigeria. I wasn't overly impressed with the layout of the studio, it was really basic. White wooden shelves, tiny pictures and no samples in sight. Last year Tara launched a H.I.P collection, I was curious so I picked up a matte eye shadow in Aura and as per my dear friends's recommendation, eye liner in Adire. The studio is now at 13B Awori Road, Dolphin Estate. The studio is right in the heart of a residential estate, there is no sign outside so if you didn't have the address you could drive right past it. The only sign outside the building reads No: 13B. Inside is a hair salon, make up studio and although I didn't see it, a photo studio. The display table was overflowing with samples and 2 walls nearby were covered in pictures of her work (as seen in the picture below). I wanted to buy everything but limited myself to 2 pressed and 1 loose eye shadow. While I was there Banke Meshida Lawal (the founder) walked in and after gushing about how much of a fan I was, I asked her the shade of eyes shadow I have noticed she uses on a lot of her clients. If you are familiar with her work you might have notice it too. It's a browny gold shade that works well on different complexions, turns out its called "Masquerade". 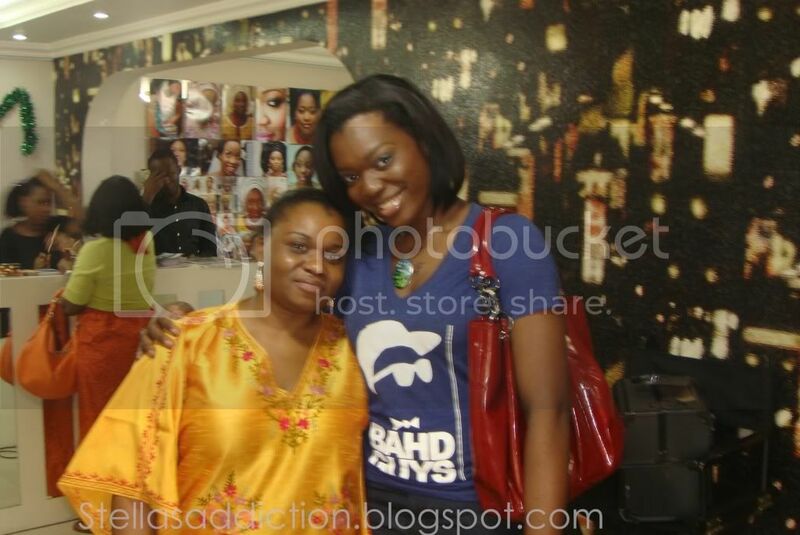 The shop and salon were launched earlier this month at 1388 Tiamiyu Savage Victoria Island Lagos. 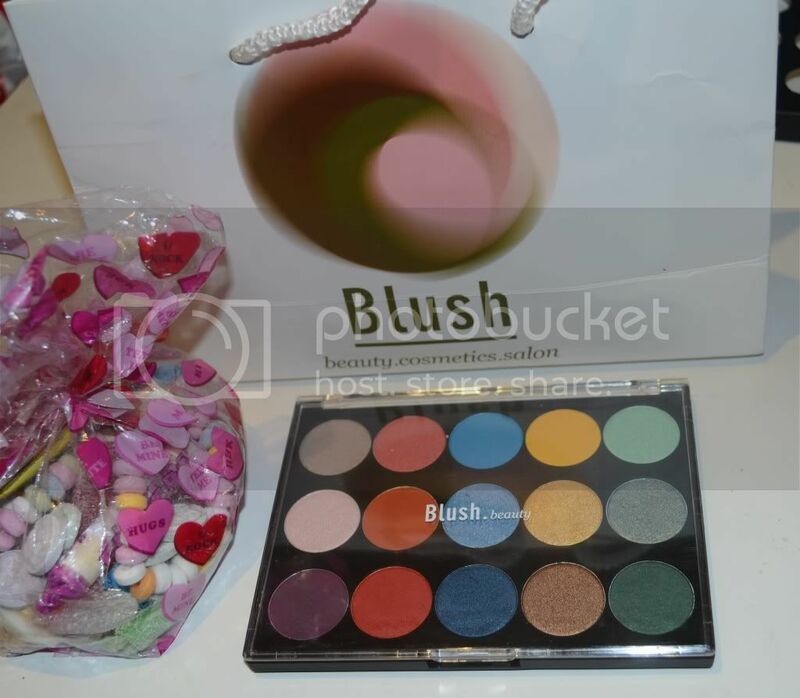 Apart from the Blush make up range they carry other cosmetic brands like Naked cosmetics, OPI, Aromatherapy Associates, Butter by Keba, Lippmann Nail Polish and Philosophy. I like the layout of this store, ver open; white shelves filled with beauty products lined the walls with white tables down the middle carrying more products including the Blush make up line. I got a 15 color professional eye shadow palette and a bag of candy. I was told they have many stores in Lagos but I have only been to one, opposite the food court in the Palms shopping mall. I'll call this one a beauty supply store because they carry a wide range of cosmetic products, tools and books, including Ardell lashes, Revlon, Iman, and tons more. 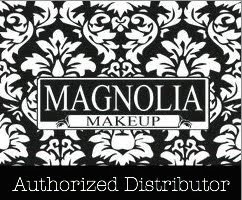 Their own make up brand however is never labeled, so of course the marketer in me thinks they are nuts but hey, what do I know. I picked up two matte eye shadows from them. 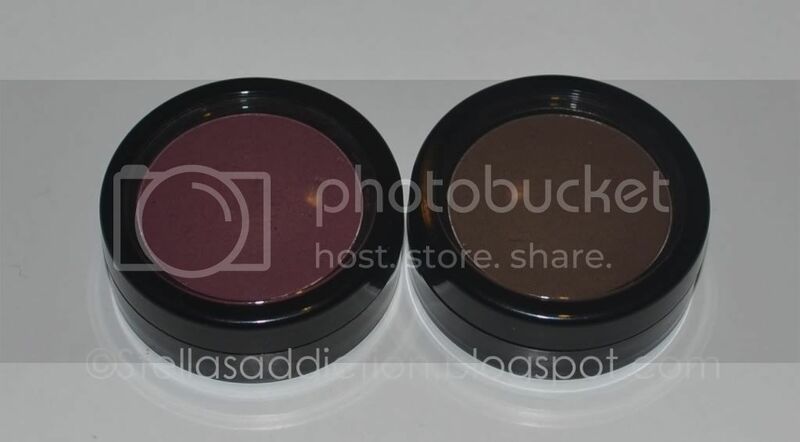 Thanks Stella, I've always wondered about that colour that Banke uses, now I have to get someone in Lagos to get it for me, whats the other colour on the left called, is it matte? i totally agree you as regards House of Tara. they are yet to understand the whole concept of proper branding. 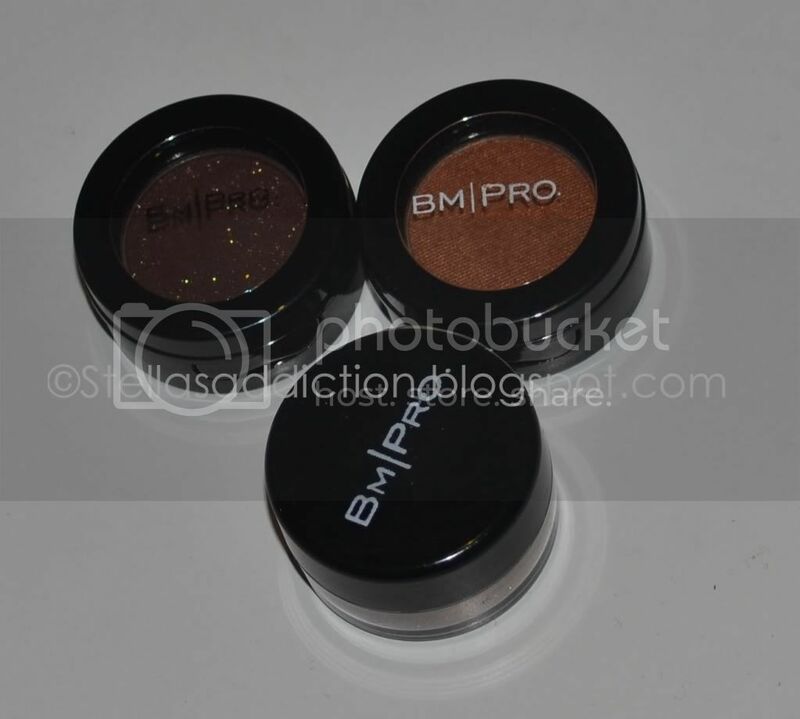 @Abimars, always a pleasure to be of service :D. The one on the left is "bright brown" and its a matte dark brown shade with gold sparkle in it. you should check out these La femme Blushes that are all the rage on Youtube. making an order. will let you know how they are when i get them. @she, La Femme blushes are one of the best ever. a bonafiide MUA should have them in their kit. im constrained by the fact that a lot of these brands dont do direct shipping to Nigeria if not, id have ordered one by now. pls put up the cost of the tara,blush & casabella items you purchased as well as reviews on them. Ps: What camera do you use for your pictures? @Pretty K I'm in the middle of a super busy school week but I'll get to the reviews asap.